But you want qualified, ideal clients that stay with you for life! How do you do it? With our help! Our lead management strategies are tried and tested – we provide strong ROI. We know that the key to growing your business is truly understanding and valuing your prospects and clients. These days, it’s not about the quick sale anymore. It’s about building a lasting relationship! We can help you to build an engaged relationship with your prospects – we support you in creating clients for life. We convert your leads into clients and fans. 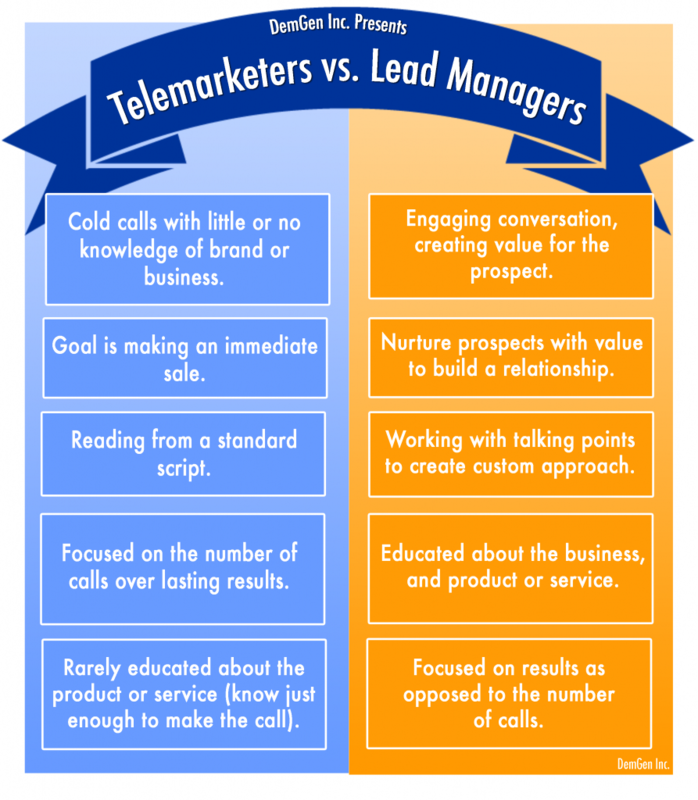 (We aren’t telemarketers cold calling from lists; we are a knowledgeable team of professionals partnering with you to provide the best in client acquisition and retention…) Our lead managers build rapport with your prospects, so they not only purchase your product or service – they also refer you to colleagues and friends. If you truly believe in what you’re offering, understand your value and why it’s more important to have a long-term relationship than simply make a sale, you need our lead management services! Building relationships = More clients = More revenue! “Gilbarco Veeder-Root established a relationship with DemGen in January 2006 with a view towards developing a new sales channel that would cost-effectively target small to medium sized businesses for our product services line. This was the very first time we had considered using an outsourced sales approach and our requirements included a partner that could show extreme flexibility, meet tight deadlines, be able to adapt on-the-fly, provide quality staff and complete the loop on sales for us. DemGen has continued to exceed our expectations and has become an important contributor to our revenue growth plans. Starting with simple proof-of-concept initiatives we have expanded our agreement to encompass multiple campaigns of varying complexity and are confident that DemGen will continue adding value to our efforts. We offer the same lead management systems to our clients that we use, that’s why our clients stick with us! Find out how we can help you gain, and keep, more clients now.